Though widely lauded as one of the most creative and challenging forces in Irish theatre Frank McGuinness's plays have often met with a tempestuous reception. This new work details the significance of key productions of his plays in the context of Ireland's culture and society. Charting McGuinness's development as a dramatist from The Factory Girls through to Gates of Gold it combines cultural, po… litical and theatrical analysis to position McGuinness as the most significant Irish playwright of his generation. Textual analysis supports considerations of theatrical performance to show how visual art, stagecraft, sculpture and song are central to our understanding of McGuinness's theatre. 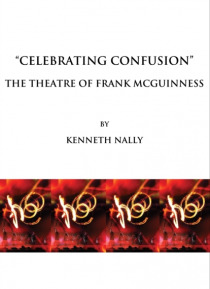 Drawing forth the range of sexual, familial and national identities found in McGuinness's work this book shows the significance of symbols in theatre that often seeks to confuse the simplicities of absolutes in order to show the complexities of difference. Wide-ranging, theoretically astute and written in a lucid and engaging style, Celebrating Confusion will appeal to all readers who are interested in Irish Theatre and its intersection with the politics and culture of contemporary Ireland.